Hello and Happy Monday, all! I know Mondays aren't everyone's favorite day, especially those who work full time. But maybe some creative inspiration will give you something to look forward to. 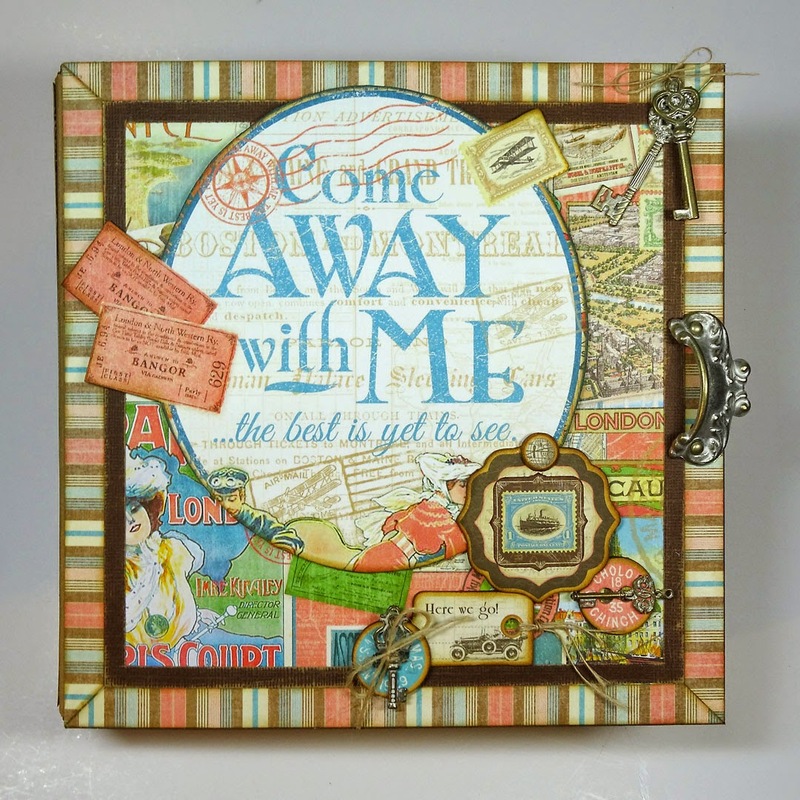 I've designed this fun travel display box using Graphic 45's Come Away With Me collection. 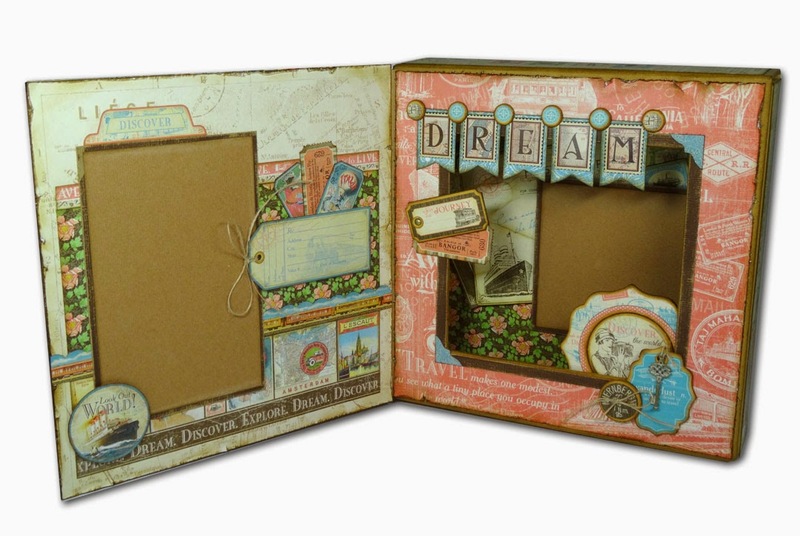 This would be a great display with a couple travel photos and memorabilia attached. What some of you may not know is that I have had the honor this past year of designing additional projects on the side for Graphic 45 to teach around the globe. So oftentimes when you see photos of the Graphic 45 family teaching classes, those are by yours truly, as well as by my fellow design team buddy Denise Johnson. What a thrill to see folks in South Africa and Australia, and all over the U.S. enjoying those classes. This travel display is just one of many I've designed. I hope you like it. I also wanted to let you know if you sign up to Graphic 45's newsletter on their blog, you'll get early notices of new releases, and you'll also get their monthly project newsletter early! 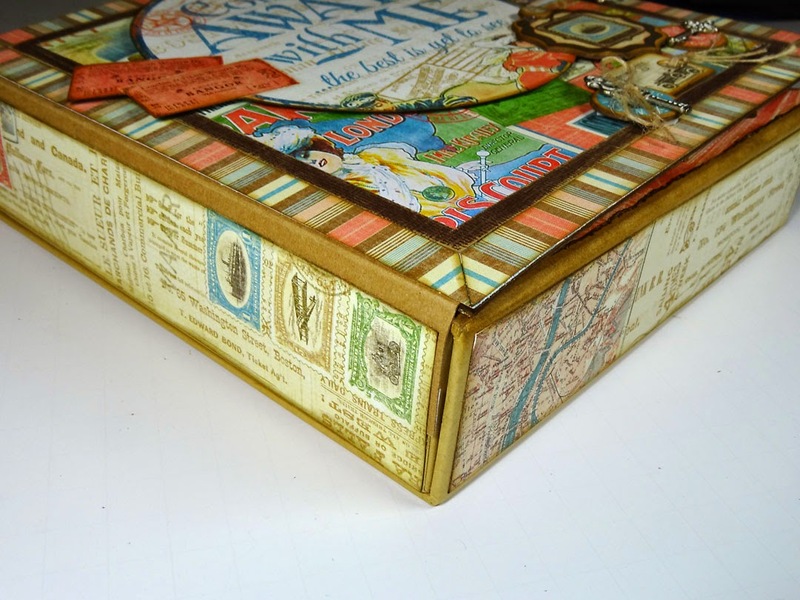 My Come Away With Me Travel Box is the featured project in this month's newsletter, and has all the directions to make one yourself. So, hop over there at this link and print the PDF now. 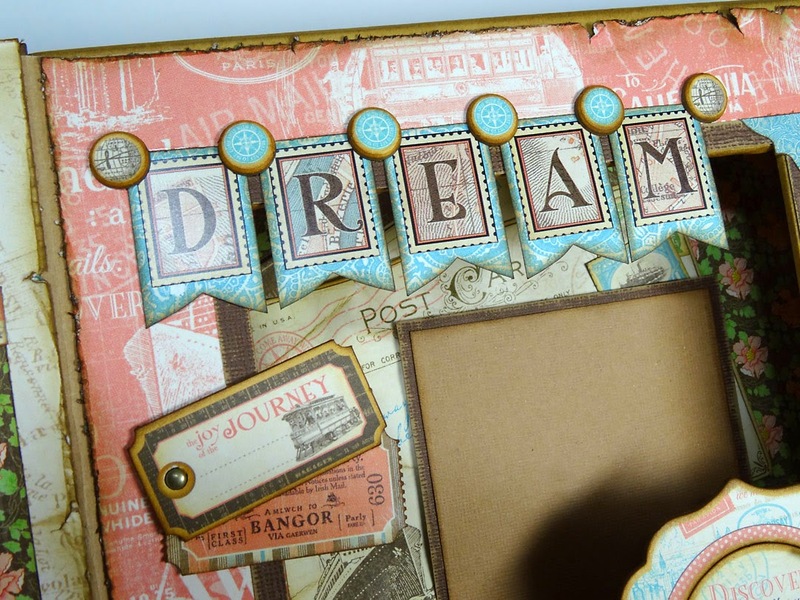 You can use the basic design with other papers or embellishments to suit your needs. Enjoy! Jane, thank you. Now YOU have made MY day. 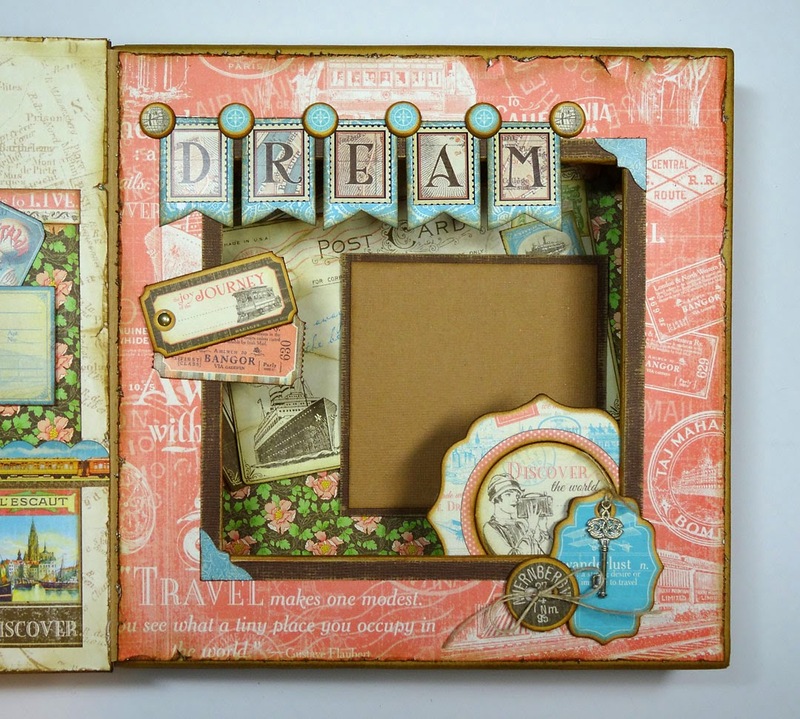 I am one of the lucky delegates from Johannesburg, South Africa, who had this shadowbox class taught by Charee & Jeff. I spotted your name on the project sheet straight away & knew I was going to love it. Great work! Thanks so much Jennifer. Your comment means a lot to me. Glad you enjoyed the class. love this projest. As usual your talent just amazes me. Thank you so much Terry! Such a sweet comment. Super Exciting New Graphic 45 Sneak Peek!